September | 2012 | Art of Living, Sri Sri Ravi Shankar and My Self! The organisation’s programs are guided by Sri Sri’s philosophy of peace: “Unless we have a stress-free mind and a violence-free society, we cannot achieve world Peace.” To help individuals get rid of stress and experience inner peace, The Art of Living offers stress-elimination programs which include breathing techniques, meditation and yoga. These programs have helped millions around the world to overcome stress, depression and violent tendencies. The Art of Living has a few sister organisations which are also dedicated to the vision of a stress-free, violence-free world. The International Association for Human Values (IAHV), Ved Vignan Maha Vidya Peeth (VVMVP), Sri Sri RaviShankar Vidya Mandir (SSRVM) and Vyakti Vikas Kendra India (VVKI), among others, formulate and implement humanitarian projects of The Art of Living globally. 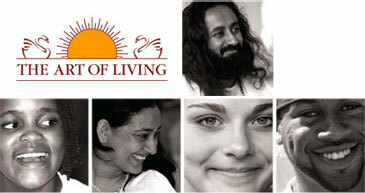 The Art of Living is a multi-faceted organisation with one of the largest volunteer bases in the world. The international headquarters is located in Bangalore, India. Globally, the organisation operates as The Art of Living Foundation formed in 1989 in the United States of America and in Germany. Since then, local centres have been established across the world. In the Art of Living’s organisational structure, there is a board of trustees with a term of two years. Two thirds of the trustees change every two years. All the Art of Living teachers and the previous trustees are allowed to nominate a new board. There is a provision for an advisory board that monitors and guides the organisation. All the accounts are regularly audited by an external auditor. Other than expenses, no trustee is entitled to benefits in terms of salary, etc.Art of Living programs directly help to fund its humanitarian projects. The proceeds from the sales of The Art of Living Publications and Ayurveda products are also directed to our social initiatives. What better way to start my blog by calling upon the Elephant faced Lord Ganesha to remove any obstacles! Just like the great MahaRishi Ved Vyas called upon him to write down the greatest epic, I call upon him to help me write my thoughts and remove the obstacles. I also seek the blessings my Guru Sri Sri Ravi Shankar for letting these words flow through me. The Lord with the curved trunk and a mighty body, who has the magnificance of a Million suns, I pray to you Oh Lord, to remove the obstacles from all the actions I intend to perform.